Are you looking for the mi account unlock tool download to bypass MI cloud verification for your device? Then you are at the right place. Today we are going to see mi account unlock tool download which will help you bypass MI cloud verification. Here in this post, we are going to see the download links for mi account unlock tool. These download links are valid for all MI devices and will work as MI account unlock tool for pc. 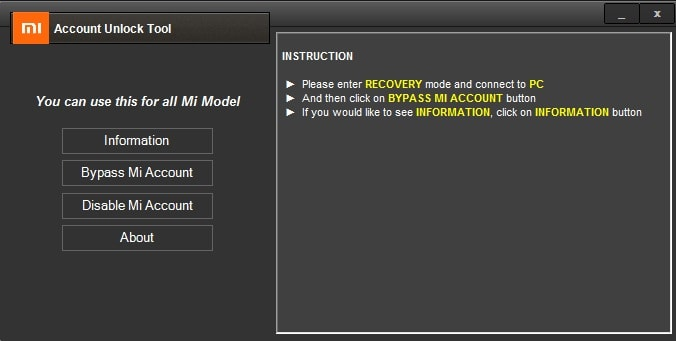 What to do When Forgotten your MI Account Id Password? How to install MI Account Unlock Tool? 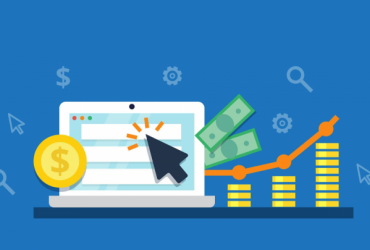 We have tested this mi account remove tool download link and it is working perfectly fine. This also removed the mi cloud verification for my device. We found many people looking for the mi account removal tool so that they can bypass the MI cloud verification and access all the features. And so, we decided to write this mi account unlock tool download post with real and verified link to download the mi account removal. Having an MI account associated with the Xiomi phone allows you to access their cloud services. 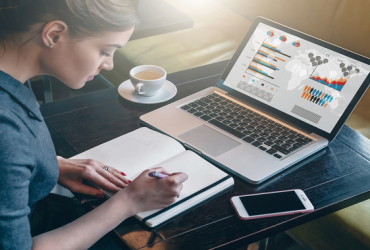 Here you can sync all your mobile data, photos, videos, notes, calendar, notes, emails and all the other important stuff on the cloud. This is required as anytime if you need to restore you have the backup available to be restored. With the MI cloud storage account, you can find the lost phone also and if anytime need any data, you can simply restore. If you have bought a new MI phone, then you will get the details to sign up at the MI cloud account where you can sync all your data. Sometimes we lose the password or forget the MI account password in such cases, this mi account removal tool will be highly helpful. This tool will be again helpful if you have to hard reset your Xiomi phone. For all these, you can Download Mi Account Unlock Tool rar and get rid of all such problems. Let’s say a day you have done a factory reset to your MI phone. Once your phone will be started, the system will ask you to sign in using the user id and password. But if you have forgotten your password, you can use the “forgot password” option to reset your password and log in again. But the problem will come when you forget both user id and password. In this case, you can bypass MI account verification by using this MI account unlock tool. This process will maintain your phone warranty. MI Account unlocks Tool is a software to remove or bypass MI cloud activation whenever you forget MI account login id and password both. By using this MI account unlock tool, you can bypass MI account login or disable the login process. The whole MI account bypass tool works with these two features only. Whenever you reset your phone, on the first screen you need to provide the login details of the previous account id. Without using these details, you won’t be able to use the device. Bypass MI account or Disable MI account option when you have forgotten both or don’t remember the user id. 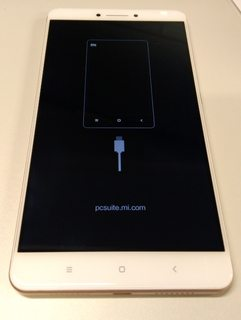 MI Account remove tool is a small software to bypass the MI cloud account. If your device is showing some notification like “this device may be associated with existing Mi account” then you can this mi account unlock tool or remove account lock mi account. Using this software, you can remove account lock from most of the current and upcoming MI phones. Now using the below link, download Latest version of MI Account Unlock Tool and access all the premium mi cloud services. So, as you can see this mi account unlock tool works with all the version of Windows operating system. So, easily you can use and bypass the mi cloud sign in. It will be a rar file and so you need to extract it. You can use any unzipping tool to do so. Once you have installed the software, follow the below steps to use the tool and unlock your mi device. Once completed till here, connect your device to your computer where you have installed the tool and open miaccountunlocktool.exe file as an administrator. Now click on the information on the software to check if the device has been connected properly or not. You are done now. You have successfully bypassed the MI cloud sign in. These were all about mi account tool download. So, here we learned what is mi account unlock tool, how to download, install, and use the tool. Hope using these methods, you will be able to successfully bypass mi cloud sign in process. Do try and let me know if you will face any issue while activating your mi phone. Also, if you liked this Tech4EN article, please consider it for sharing. Thanks for your post. It’s really a good method. Where you’re getting this password option? I checked the file again and didn’t receive anything as such. Please share the details. 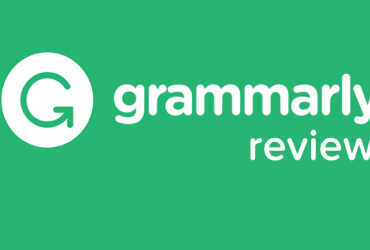 Grammarly Review – Should You Use It?